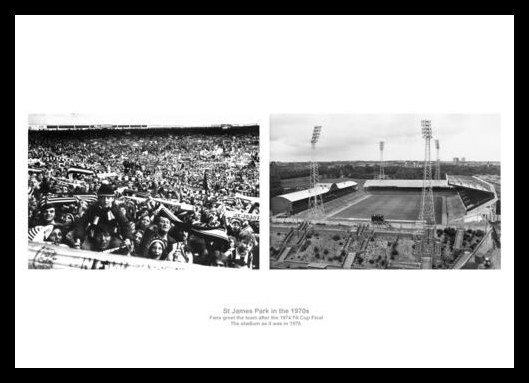 Two superb photos of St James Park in the 1970s. The first photo shows the stadium full of Newcastle fans in 1974, to greet the team after the 1974 FA Cup Final (even though Newcastle lost). The second photo show St James Park as it was before the extensive redevelopment of the stadium.